Happy Saturday, ya'll!! Jen has done it again and created a great Sketch For You to Try today! It's a really simple one and it allowed me to put this card together in no time. That's good, because today I have NO TIME! I am hosting a baby shower at my house at 1 o'clock and we are expecting (no pun intended) over 20 people here! Tomorrow after the dust settles, I hope to show you a fantastic baby shower gift I made, well, actually two of them. The colors for the shower are all pink and green for little Skylar, so I guess that's why I grabbed for them this time. Plus, I already had my Little Lady set from Papertrey out. I wanted my card to be super soft and sparkly. See all the glitter on the ribbon? Click on the picture and it might blind you! It came like that and I've been hoarding it! There are also clear rhinestones for extra sparkle. Please forgive me, but I can't remember whose card I saw yesterday on SCS using the little ladybugs and it just sparked me to pull them out again! It was a way cute card! Anyway, gotta make this short and sweet, so I can get busy making fruit and pink marshmallow kebobs! I hope you get to try out Jen's sketch (use keyword SFYTT on SCS), and as always, see what my awesome friends have designed for this as well...Amy, Shannan, and Carole. 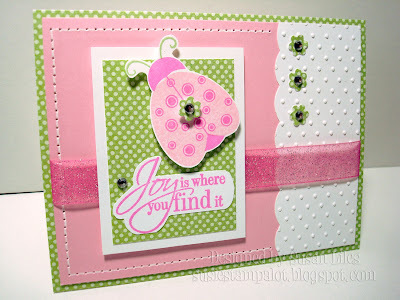 TIP: Try using patterned paper as the "backdrop" for a stamped image instead of just a solid color. You may want to cut out the image and pop it up on a dimensional (we mostly tend to use white for this, I think). Yummy! You know I love some pink and green -- this is adorable, Sus! 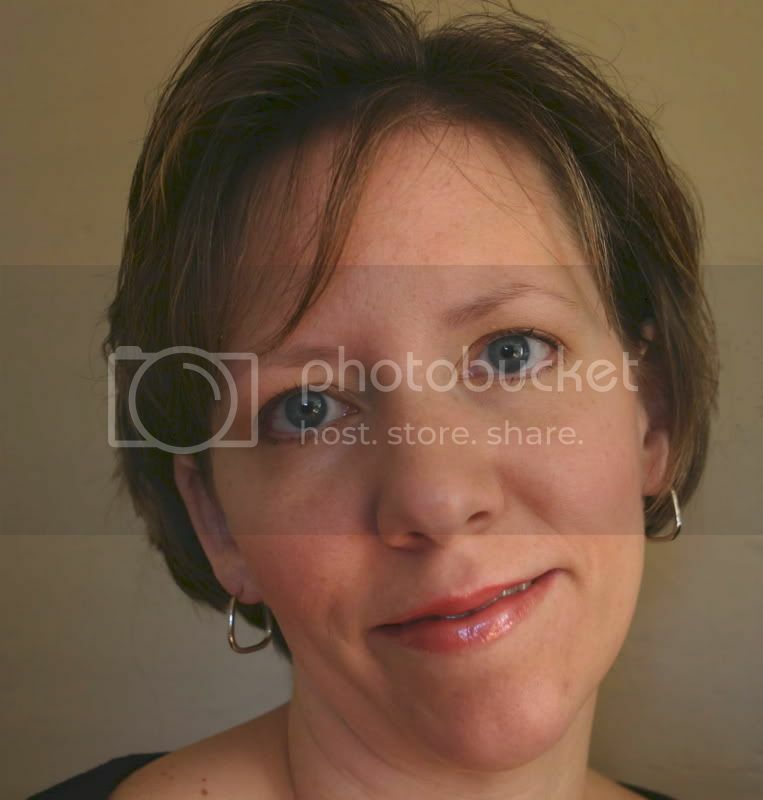 So cute, Susan! I love the colors and the Cuttlebugged white piece. Hope the shower went well! Very pretty card. I love the pink and green and that ribbon is fabulous! I hope the shower went well.